Last night my house-mates and I had a conversation, that lasted for far too long, about which season was our favourite. Yep, some pretty challenging discourse going on in my house. 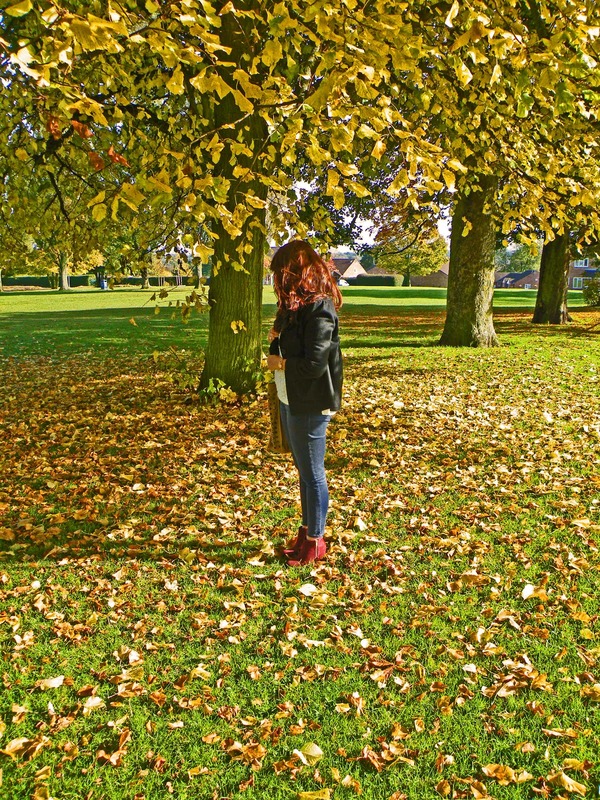 Anyway as you've probably guessed, I picked Autumn. Autumn is my favourite! Something about the colours of the leaves and the crisp air that's not too cold but just right, it's lovely. 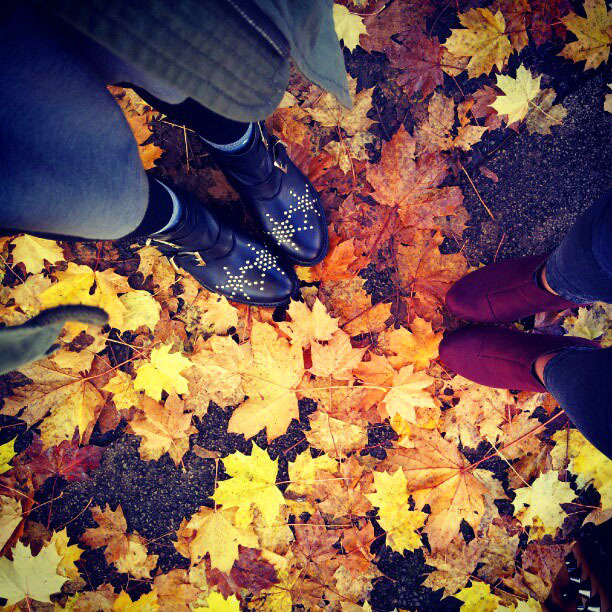 I also love the way fashion changes and wool-y knits of all shapes and sizes creep back into your wardrobe, while old boots are hauled out of storage, dusted off, and paraded around the leaf covered streets in all their cold-weather-boots glory. 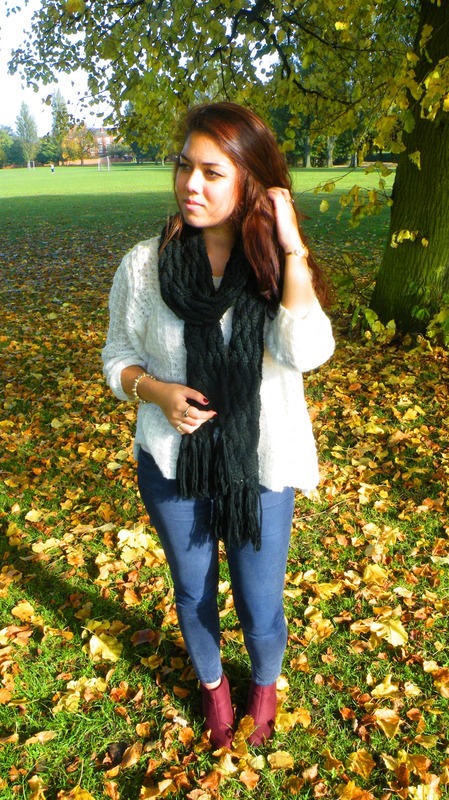 My friend Monika and I decided yesterday, to get out and take some photo's of this beautiful season, though we (she) mainly took some photo's of my outfit. I'm going to be honest, it's nothing ground breaking... In fact, be prepared to be bored. I mainly wanted to play around and get to grips with photoshop a bit. Saying that, I am enjoying my new burgundy boots featured in these photos, which were a recent and triumphant purchase! 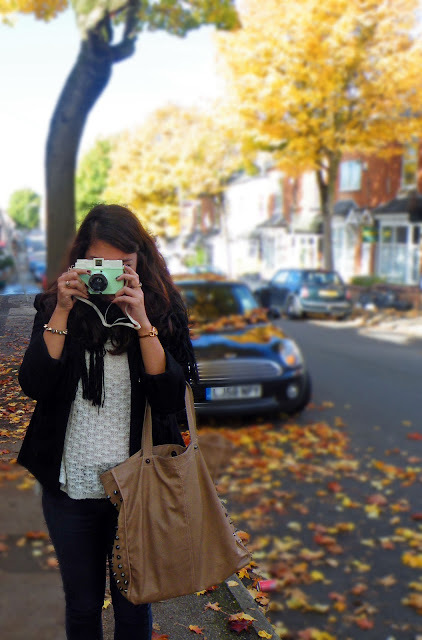 I got this bad boy (lomography camera) for my birthday, and this was my first day using it. Not sure I'm quite hipster enough to use it, but I love it! These are the newest edition to my boot collection and I loveee them! I'm so drawn to this colour at the moment, and they are the perfect height so I don't feel ridiculous walking around uni in them! All credit goes to Monika Frise for these photo's! Check out her blog 'Music from the Motion Picture' here. Which season is your favourite?? So I'm just going to jump right in. 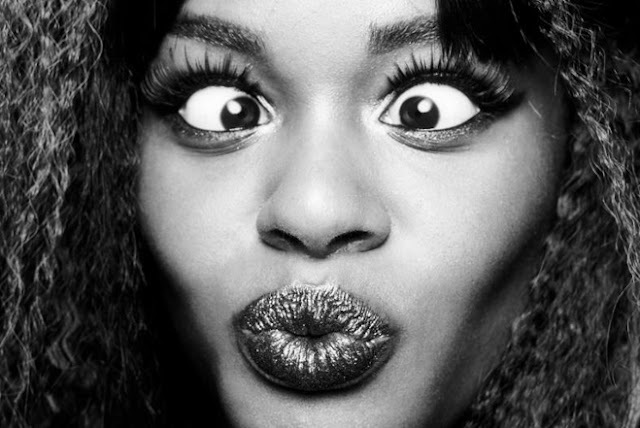 Azealia Banks. I really like her. I did actually mention her (here) a while ago, although at that stage I had only been aware of one of her songs, '212'. I love the way the song is catchy, but the lyrics actually make sense (after some serious translation)! 'So,' I thought, 'what else can Azealia Banks offer me?' Well, she can offer Liquorice. Alas, not the ebony penny sweet, that many (not me) know and love but, in fact, a song - called Liquorice. For me it was definitely one that took a while to get into; I was unsure where I stood with it at first. It had all the right characteristics, but it just wasn't grabbing me. But that hook, oh that hook. I was humming it for the rest of the day, and the next day, and the next day...and the next day. 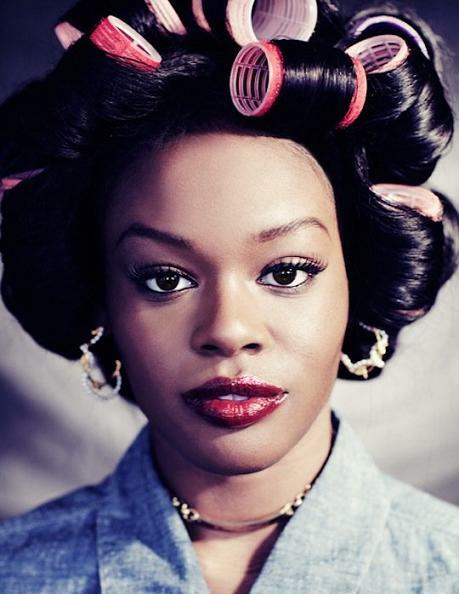 She's not the politest of female artists, but then, since when has 'rap' ever been polite? She's just so damn cool. I'm going to stop here and just show you the song, because in all honesty I don't know anything about music/ rap and I feel a bit silly trying to review it in any sort of professional or technical way. Just know that I like it yeh? My music taste varies, and I really love discovering new artists/bands, and sharing the music that I like! So, I was thinking of making this a little feature on my blog where each week I talk about an artist that I've been loving recently, and ask for new suggestions. What do you think? Just a quick post today to talk about last nights premiere of Tim Burton's new film Frankenweenie. I'm not actually doing a review on the film, obviously, because the film was only released last night. I do however want to talk about how frickin' cool the premiere looked! Some of ya'll might remember a post I did aaages ago about Tim Burton, where I talked about his films and his drawings and generally how cool I find his work, so as you can imagine, I was quite excited to hear he had a new film coming out! I have to say, I haven't loved all of his films in the past, and I'm not sure I'll be going to the cinema to see Frankenweenie, mainly because I don't think any one will go with me, and I'm not quite self assured enough (yet) to go by myself. But I WILL be watching it when it comes out on DVD, and love it no doubt! Frankenweenie tells the story of a boy who tries to use science to bring his pet dog back to life, and was inspired by Burton's own trauma as a child when his beloved pet dog died. It just seems like a sweet film doesn't it? Sure...it's probably a little childish, but it's Tim Burton! There'll be something in it for everyone, right? Models paraded the red carpet in Frankenweenie inspired outfits. As part of the premiere, half a dozen models walked the red carpet in typical Burton-esque pieces, with clear gothic Frankenweenie inspiration! It looked so good, and really added something special to the opening of the film! What did you think of the premiere? 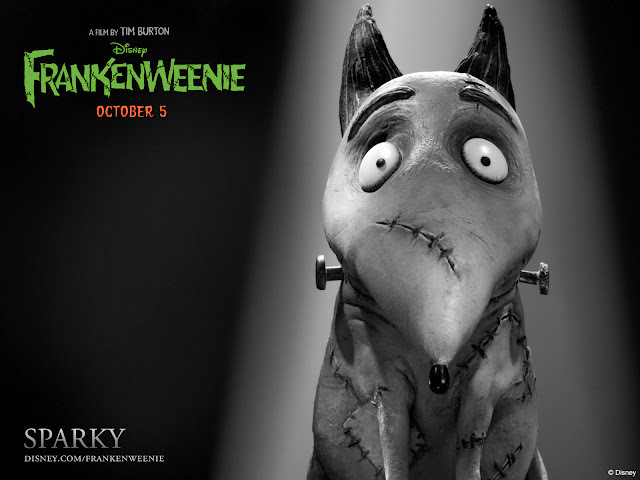 Will you be going to see Frankenweenie? Whilst I didn't attend London Fashion Week, or any of New York, Paris or Milan's Fashion Weeks, I did manage to catch a little glimpse of what we can expect to see in Spring and Summer of 2013, courtesy of NowFashion. (I know I'm a little bit slow on the whole Fashion Week thing, but better late than never right?!) I really enjoyed watching the results of months and months of the designers' hard work, pop up on my computer screen, and there truly were some magnificent creations! 1. Altuzarra - I loved this collection, and in particular the slightly Indian, slightly tribal, slightly nomadic (if that's the right word?) vibe that it had going on.Cool prints, loose fitting trousers, and embellishments were consistent throughout, and gold and royal blue accents featured all the way through the collection, which I loved in particular....oh if only I had the money. 2.Marchesa - This was probably my favourite collection of the ones that I saw. It's so decadent and luxurious, and the colours are absolutely beautiful! Again, there were clear Indian influences in the collection; many of the pieces, lavishly adorned with beading and crystals. Also, by the looks of it, dresses/tunics over trousers is a potential trend for SS13, interesting! 3. Massimo Rebecchi - So basically, I was drawn to this collection by the shiny fabrics. Something about those stripes, the blue and pale pink contrast, and the glossy fabric. It had me. The whole collection was very fresh, with lots of bright colours and clean lines! Looking forward to seeing how this filters down onto the highstreet! 4. Diane von Furstenberg - DVF seems much more accessible as a brand than a lot of the other 'ready-to-wear' lines, and again she opted for a very fresh look for SS13. The stories for Massimo Rebecchi and DVF seemed very similar in terms of the colours that were used, though DVF opted for much more bold and exciting prints which I loved! So pretty! So there we go. Those were my four favourite collections for Spring and Summer 2013, and I'm looking forward to seeing how they are interpreted by the highstreet! Saying that, I'm very much enjoying wrapping up warm for the autumn at the moment. 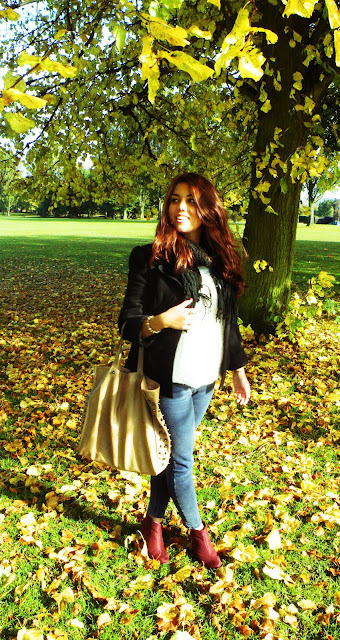 Look out for a post on Autumn trends, coming in the next few days! What were your favourite collections at Fashion Week SS13?